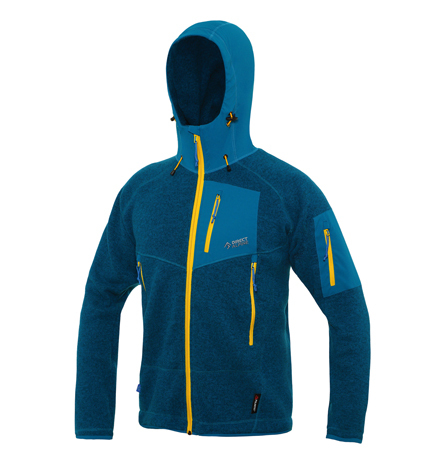 Men's Sweatshirts, Made in Europe - Direct Alpine s.r.o. An obvious choice for every climber or boulderer! 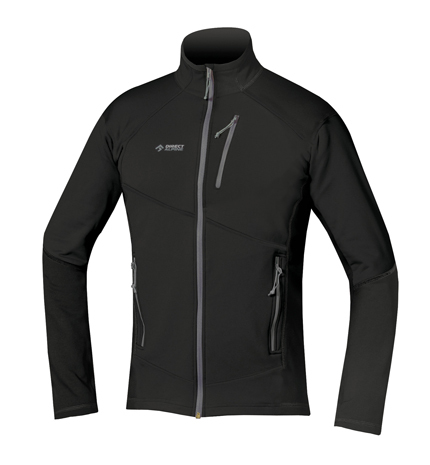 A stylish new jacket for cold days in the countryside for all outdoor enthusiasts. A light, soft knit from one of the leading producers, Polartec-Thermal Pro not only provides warmth and comfort but also, thanks to its elasticity, in no way restricts movement. The hood, pockets, cuffs and bottom edge of the jacket are reinforced with a more resistant material. This eliminates the possibility of damage as well as emphasizing the attractive climbing design. This jacket is intended not only for climbing and bouldering but also for other outdoor activities, trekking and for everyday wear.